Science forms a central component of our curriculum. Crossroads-Science offers an exemplary program of standards-based education with a focus on inquiry-based teaching strategies. Crossroads is one of two elementaries operating on a year-round calendar. Research indicates most students' performance matches those of traditional calendars while some show marked increases. 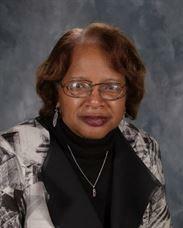 Celeste Carty is the principal of Crossroads Elementary Science and Montessori. In 2006, Carty was named the Science and Mathematics Principal of the Year by the Minnesota Elementary Principals' Association. She can be reached at celeste.carty@spps.org. With mixed emotions, I am writing to announce that after 20 years at Crossroads Elementary, I have decided to retire at the end of this school year.